If Roman Polanski were not the same man who directed "Chinatown" and "Rosemary's Baby," he might never have been equipped enough to tell a story as difficult and poignant as that of "The Pianist." It's easy to pretend that a narrative of this emotional caliber simply requires a filmmaker with a distinctive knowledge of cinema, but the demand goes far beyond that; compassion and association are prerequisites as well. Not surprisingly, Polanski's greatest films explore parallel subjects—victimization, claustrophobia, and an underlying dogged hope that keeps the human spirit elevated to survival—and having mastered the themes before most modern directors even knew how to use a camera, he sort of becomes fated into the position, as if every significant product in his career has merely been a prelude to him forging this one. The fact that the story itself correlates with most of what went on in his own early life doesn't hurt matters, either. 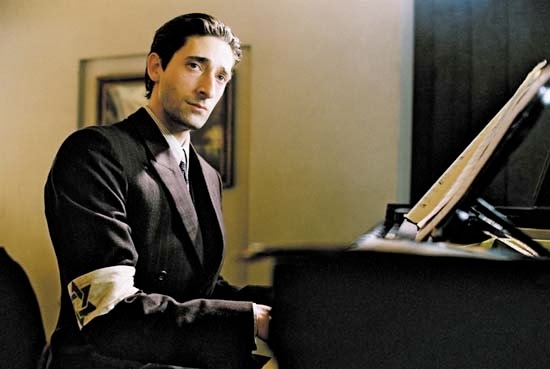 "The Pianist" is about Wladyslaw Szpilman, a master and poet of the piano, who also happens to be a Polish Jew living in the clouded atmosphere of World War II. The movie opens in 1939 in Warsaw, as the musician is serenading his listeners on radio with Chopin just as the Germans invade the area and begin unleashing their all-too-familiar fury against the Jewish population. Signs shamelessly claiming that "No Jews are allowed" hang from the windows of local businesses. Nazi soldiers even enforce law that forbids them from walking on sidewalk pavements. But Wladyslaw and the members of his close-knit family are not too fearful of what the future will bring—after all, they have wealth, social status... and hope stemming from the early promises of radio announcers, who inform their fearful ears that the British and French have just declared war on the Germans. But the status of the Jewish population in Warsaw quickly dwindles. Just when their society begins to anticipate nothing worse, the Nazis take their campaign to drastic measures by creating a "Jewish district" in the middle of town—that is, a ghetto in which all Jews are separated from other Polish residents, a factor which is further stressed by a high brick wall built to surround the area and keep them enclosed (one devastating scene in which we discover a hole at the bottom of the wall shows how any Jewish resistance is painfully answered). The violence and torture escalates; the Szpilman family begins to lose its grasp on faith; and Wladyslaw realizes that only a short amount of time could be separating he and his family for almost-certain death at the hands of their enemies. Seeking endlessly for ways to stay in the area as rumors begin breaching about the Polish being shipped off to concentration camps, he even gets every member of his family granted a certificate of employment to work in the ghetto for the remaining Nazi soldiers, although when the Germans put their own two-cents into the scenario, only Wladyslaw himself actually gets to stay behind. And even then, he doesn't get to keep his access to a piano. The lead role is filled rather amazingly by Adrian Brody, who has come a long way since his breakout performance as a Latin punk rocker in "Summer of Sam." The calmness and subtlety of his exertion, exercised even during the scenes that require him to simply daydream of playing his favorite musical instrument, is some of the most convincing seen on screen this last year. 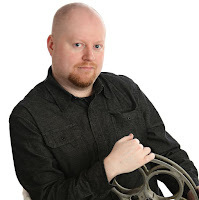 He doesn't just play the material, but lives and breathes it with every ounce of conviction he has, even when his character undergoes major physical and emotional transformations during the script's six-year time period. Most actors might have played a role like this straight in the first half and then gone overboard with the substantial material of the last. But Brody doesn't make that mistake here; he seems to understand (and embody) the rapid decline of his persona, but doesn't feel obligated to underplay or overreact in the role, either. For Polanski, a man who has won great admiration even for his less-than-perfect screen efforts (his most recent was "The Ninth Gate"), the film represents a new peak in his ever-fascinating body of work. It is a harsh—but incredibly moving—piece of filmmaking, a work of genuine depth and sensibility that never loses its focus or compromises its integrity. The movie, of course, is based on a factual account from the legendary pianist himself, but perhaps it represents a memory of the director's than anything else. During his early years, Polanski, who lived in Poland when the Germans invaded, lost his mother to a concentration camp and was separated from his father, left to fend for himself in his own treacherous ghettos in hopes that the Nazis wouldn't take their cruel shooting habits to the limit and end his young and innocent life. We imagine that those years are difficult for anyone to relive, and though the filmmaker has hinted at those conflicts over the years with his most brilliant cinematic works, none of it quite compares to the sheer power of watching his "The Pianist" unfold on screen, which plays primarily like it is a fresh memory from his tormented mind. To be expected, the movie is rather violent and gory in some patches, but as Polanski himself once said, "You have to show violence the way it is. If you don't show it realistically, then that's immoral and harmful." In the end, the mark of any great director is perseverance through the shadows, and Polanski's success with "The Pianist" keeps him in company with the likes of Martin Scorcese and Steven Spielberg as one of our most gifted living movie directors. And like the most uplifting motion pictures of our time, this isn't a movie formulated on facades or manipulations, but realistic intentions that ultimately expose the spirit and endurance of the human soul. To call the result one of the year's most impressive cinematic compositions would not completely do it justice.